During annual trips to an island in Maine’s Penobscot Bay, Julie Graham would go out on the porch of the house she visited and create paintings. “She worked on maybe eight pieces at one time. They often informed each other,” said Mags Harries, a longtime friend and artist who sculpted alongside Ms. Graham on those summer days. With Ms. Graham, who had lived in Cambridge and was 71 when she died of cancer on Aug. 23, her paintings could be appreciated separately or, better yet, in a gathering as they seemed to whisper secrets to each other. On her Instagram account, the paintings are a chorus of shapes and colors, one picking up where another leaves off. In a 1998 show in Cambridge, Ms. Graham also used “her artwork to grieve,” Globe art critic Cate McQuaid wrote. 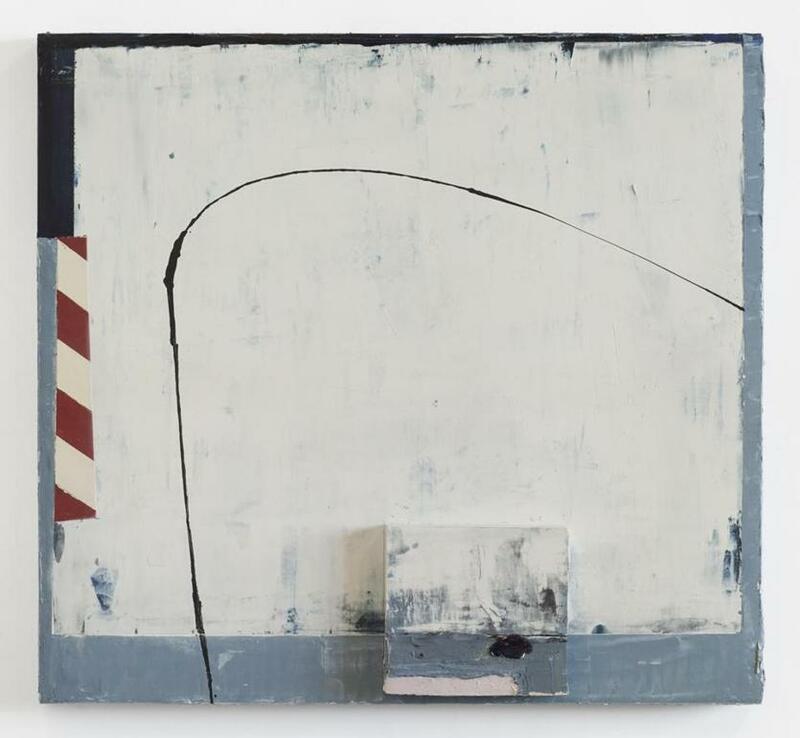 For her show “Incidental Matters” at the Kingston Gallery in Boston in October, Ms. Graham told Take magazine that she sought ambiguity in her work. “I’m interested in fractions or fragments of things,” she said. Such, too, was her life, which was filled with board memberships and teaching gigs that included a painting faculty position with the School of the Museum of Fine Arts at Tufts University, since 1991, and workshops she offered in places such as Venice, Vermont, and the Virgin Islands. The older of two children, Julie Shapiro grew up in Elmira, N.Y., the daughter of Jess Shapiro and the former Rita Eisenberg, who ran hat stores in upstate New York. Ms. Graham’s maternal grandparents were from Poland, her paternal grandparents from Germany. As the children of immigrants, her parents “never thought that being an artist was a career,” Jason said. “But she was very strong-willed and so passionate about the arts,” he added, and in retirement, Ms. Graham’s parents both followed their daughter into the arts — her father as a potter, her mother making jewelry and belt buckles. Ms. Graham graduated from Hood College in Frederick, Md., with a bachelor’s degree in art after spending her junior year in Paris, studying at L’Ecole du Louvre and the Sorbonne. Afterward, she went to the Central School of Art and Design in London, from which she received a master’s in fine arts. She also married Gary Graham, an architect, with whom she had Jason. Their marriage ended in divorce. Her work was part of group exhibitions from the 1970s onward, in venues including the Rose Art Museum at Brandeis University and galleries in Boston, various suburbs, New York City, Texas, and California. Along with teaching as part of the Museum School’s faculty, she had taught at the Harvard Graduate School of Design and the Rhode Island School of Design. About 20 years ago, Ms. Graham met Larsen, who also was divorced, at “one of those dinners of 50-year-olds. Both of us knew we were there to see if there was any chemistry,” he said. There was, even though she had only one son and he was the father of 10 children, some biological, some adopted. Larsen and Ms. Graham subsequently went to dinner and a movie, and then she left to teach in Venice. “This is so long ago people wrote letters to each other,” he recalled. They did, and upon her return they became a couple and married. “From the moment I met her to the moment I watched her die she was a soft, gentle, and dignified person,” he said. In addition to her son and husband, Ms. Larsen leaves four stepsons, Tage Larsen of Chicago, Jens Larsen of Brainerd, Minn., Christian Larsen of Guatemala City, and Trygve Larsen of Kauai, Hawaii; five stepdaughters, Kari Bilik and Siri Garcia, both of Larchmont, N.Y.; Anika Larsen of New City, N.Y.; Britta Larsen of Cold Spring, N.Y.; and Nissa Larsen of East Hampton, N.Y.; three grandchildren; 16 step-grandchildren; and two great-step-grandchildren. The family is planning a private service in October. 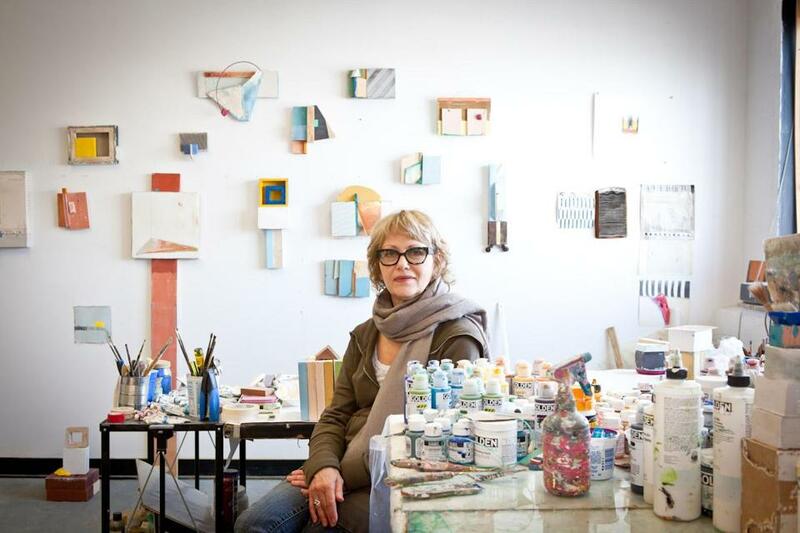 “I don’t like to waste paint,” Ms. Graham said in her artist’s statement, and noted that leftover material often formed the basis for something she was beginning.